Simonik Transportation & Warehousing collects the email address of Users that email a question or comment to Simonik Transportation & Warehousing or submit a customer review. 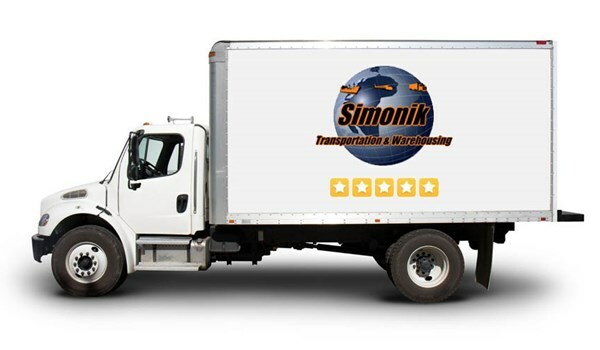 Simonik Transportation & Warehousing collects the billing and shipping addresses, including relevant e-mail, phone and credit card numbers and expiration dates of Users who purchase a product from Simonik Transportation & Warehousing through the Site. This includes Users who register to become Simonik Transportation & Warehousing members or enter any Simonik Transportation & Warehousing contests or other promotional features available on the Site. Through the use of "cookies" (For more information regarding Cookies, see below), Simonik Transportation & Warehousing may collect and store anonymous information relating to Users' browsing patterns, including, for instance, the User's browser version, site referral information, IP address, operating system, and other technical Site use information. You may set your Internet Web browser to notify you when you receive a cookie or to prevent cookies from being sent. If you prevent a cookie from being sent, you may limit the functionality Simonik Transportation & Warehousing can provide you when you visit the Site, especially when purchasing an item on the Site. Provide Users with important functionality changes to the Site, new Simonik Transportation & Warehousing services and special offers we think you will find valuable. Unless we have your consent or except as required or permitted by law, Simonik Transportation & Warehousing will not sell, share, trade or give away any Information that it collects or receives regarding its Users. The Site may provide hyperlinks, which are highlighted words or pictures within a hypertext document that, when clicked, take you to another place within the document, to another document altogether, or may take you to a third party website not controlled by Simonik Transportation & Warehousing. These hyperlinked third party websites may collect and disclose Information different than this Site. Simonik Transportation & Warehousing is not responsible for the collection, use, or disclosure of information collected through these web sites, and Simonik Transportation & Warehousing expressly disclaims any and all liability related to such collection, use, or disclosure. The Simonik Transportation & Warehousing Site is not directed towards children under 18 years of age and Simonik Transportation & Warehousing does not knowingly collect any information from children under 18 years of age through the Site. In the event that another company acquires Simonik Transportation & Warehousing or all or part of its assets, we reserve the right to include Information among the assets transferred to the acquiring company.